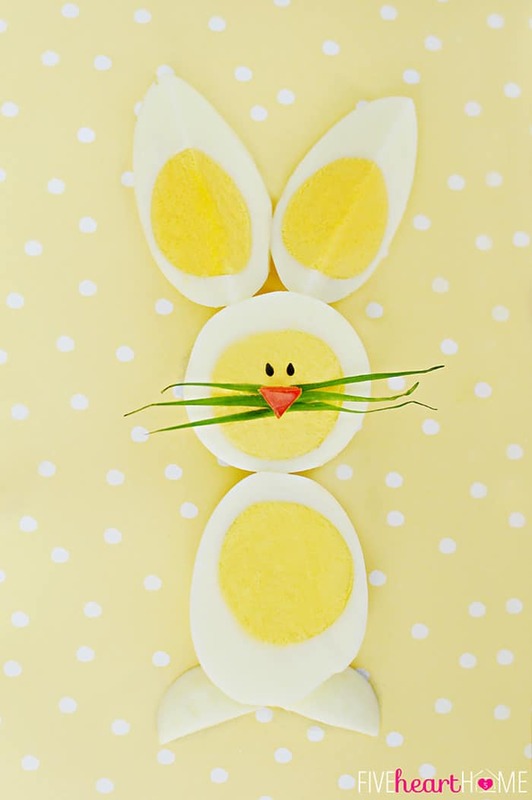 Home » Easter & Spring ~ Recipes & Ideas » Hard-Boiled Egg Chicks & Bunnies ~ A Fun Way to Use Up Leftover Easter Eggs! 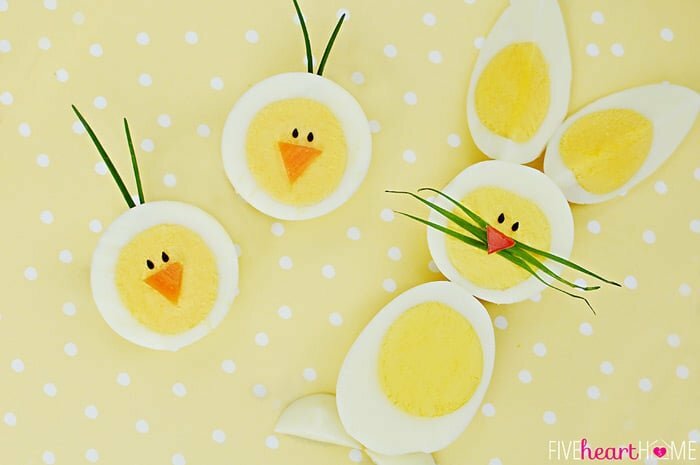 The kids will love helping you turn those extra hard-boiled Easter eggs into these cute springtime chicks and bunnies, with some simple slicing and a few basic garnishes! Like many families, dying Easter eggs is one of our favorite holiday traditions…but it sure does leave a bunch of leftover hard-boiled eggs to use up! 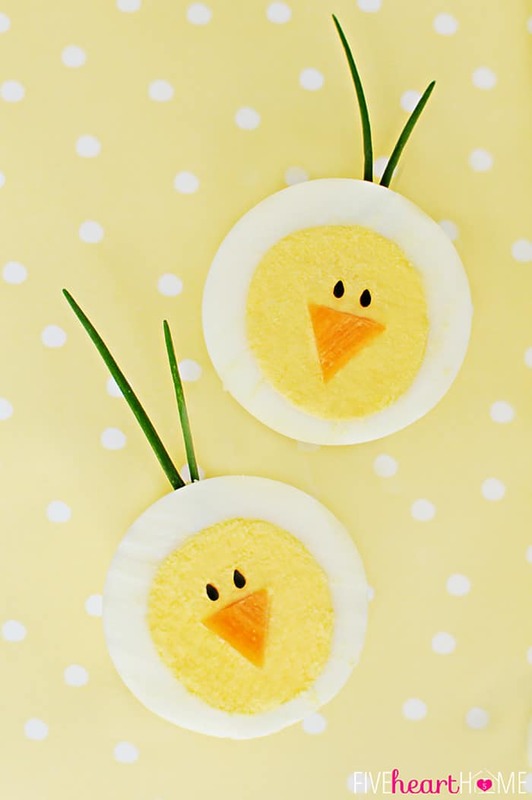 I typically transform ours into deviled eggs or egg salad, but this year I thought it would be fun to turn them into cute, edible springtime creatures instead. My oldest son’s first grade class is currently incubating a dozen eggs to hatch chicks as a part of their study on life cycles. And my boy is so excited about those expected chicks that he works them into conversation at least a half dozen times a day. He knows the exact day that the chicks are due to hatch and he is pretty much in full countdown mode. I sure hope those chickies are not of the tardy variety because, if so, I’m afraid I’m going to be dealing with a very disappointed 6-year-old come school pick-up time on the anticipated day. Those chicks are gonna have some ‘splainin to do, Lucy. But if that does happen, I may just have to tide my son over with some of these cuties in the meantime. 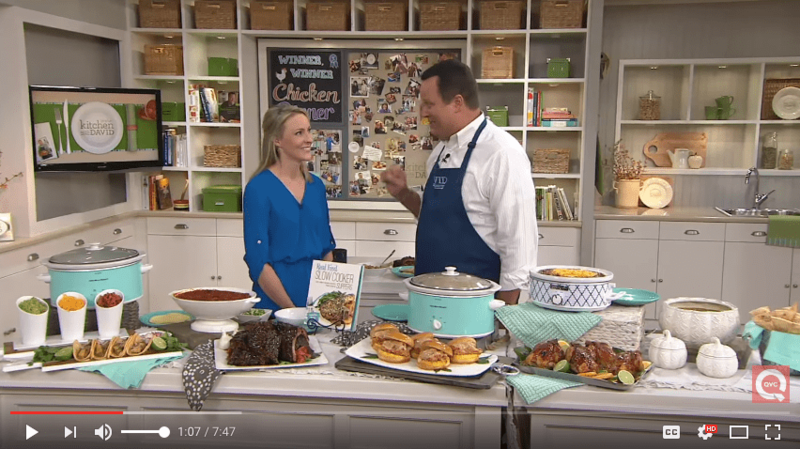 Seriously, these chicks and bunnies are so simple to make that the kids can help, and it goes without saying that they’re fun to eat. They are also totally adaptable based on the ingredients you have available. I used black sesame seeds for the eyes, thinly-sliced carrot triangles for the beaks, red pepper triangles for the bunny noses, and chives for the chick top feathers and bunny whiskers. Easy peasy! But feel free to get creative and use whatever garnishes you have on hand. The chives ended up being the only ingredient that I had to buy because, well, I abhor onions and all of their kin-folk. In retrospect, I should have used some parsley stems that were already in my refrigerator (see…I told you these were totally adaptable!) and avoided my hands and kitchen smelling like onions by the time I was done. Blech. Anyway, if you wanted to jazz these up even more, you could turn them into “deviled chicks and bunnies” by removing the yolks, mashing them up with deviled egg-type ingredients, and spooning the mixture back into the whites. Simply smooth the tops before decorating and voilà! Springtime creatures with a bit more flavor. I highly recommend putting these cuties on your to-make list because this is one of those times that it’s totally acceptable to play with your food. 😉 Have fun with these, friends! 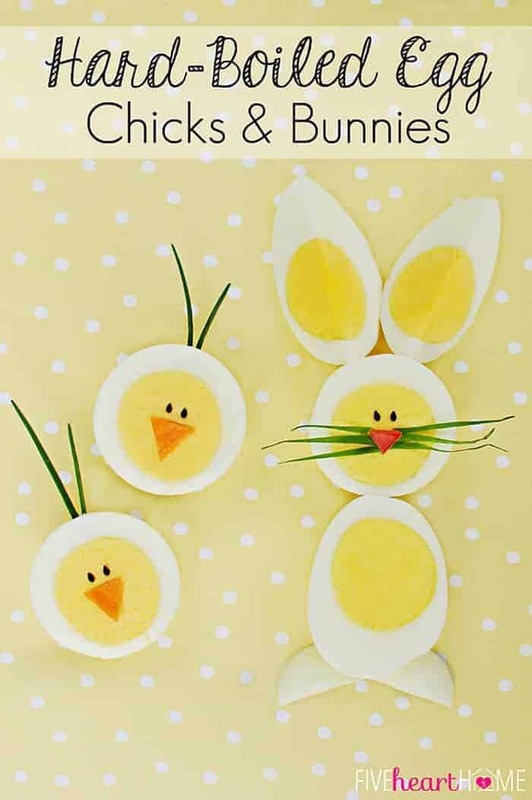 Hard-Boiled Egg Chicks & Bunnies ~ A Fun Way to Use Up Those Easter Eggs! For a bunny: Slice one egg lengthwise. Half will be the bunny's body. Slice the other half lengthwise again to make two ears. Slice a second egg widthwise. One half will be used for the bunny face (the other half can be saved for another bunny). Trim a slice of egg white off of the rounded back of the head so that it lays flat, and cut that piece in half to make two feet. Assemble bunny as shown, decorating with black sesame seed eyes, a small triangle of red pepper for the nose, and chive whiskers. For a chick: Use half of an egg that has been cut widthwise. Slice off a thin piece of the back so that it doesn't roll. Decorate with black sesame seed eyes, a small triangle of carrot for the nose, and chive feathers on top of the head. Use a toothpick to make a hole before attempting to insert chive "feathers." Adapted from Family Fun, April 2013. These are so adorable, Samantha!! Can’t wait to have my kids try these out! How fun! 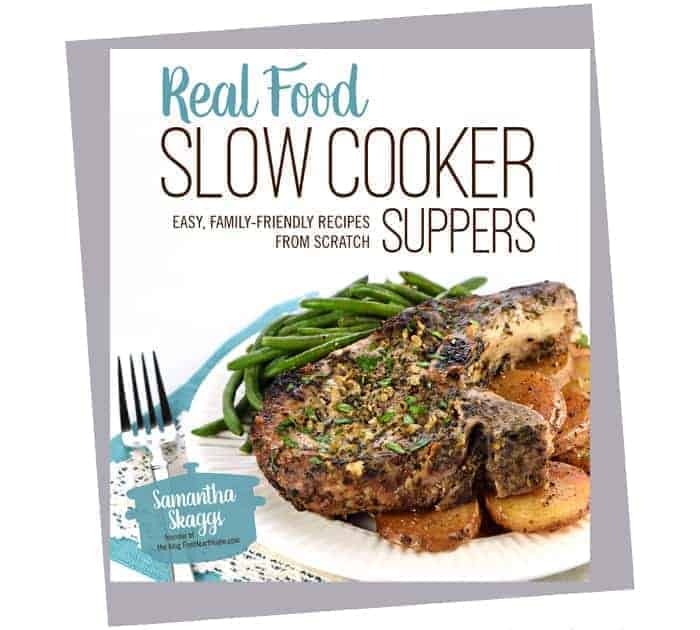 What a great way to make healthy Easter eating fun too…. You go , Mom!! Thank you so much, Crystelle! Fun always seems to help get the kiddos to eat, doesn’t it? 😉 I appreciate you stopping by! ummm these are ADORABLE!! ha ha now if only I can get my son to love hardboiled eggs…this may do the trick 😉 Thanks for sharing! Adorable, clever and so darn cute! So glad you shared at Weekend Potluck. They kind of have a one-track mind at that age, don’t they, Dee? 😉 I hope your son has fun with these if y’all have a chance to try them, and I appreciate the pin! Happy weekend! 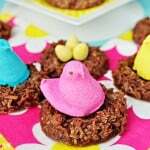 I will have to try these for Easter Sunday! 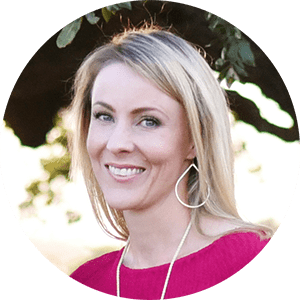 Thanks for sharing, found you on Link Party Palooza! 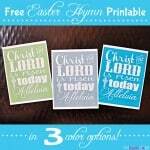 I’m glad you stopped by, Sara, and I hope you have fun with these on Easter! Have a great weekend! 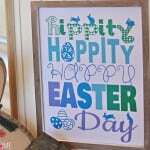 Just hopping (hehe) over from the link party…such a cute idea!! Thanks so much, Caitlin! And your pun made me laugh…you’re the first one to use it regarding my bunnies! 😉 Hope your weekend is off to a great start! OMG, those are so adorable Samantha! My kids have always loved boiled eggs, they would get a kick out of these!! Thank you, Lisa! 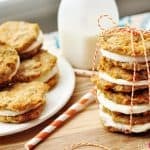 You should totally make these with your kids! Mine had a lot of fun with them. 🙂 Thanks for hopping over…hope your weekend is wonderful! I’m making these to take to a senior citizen potluck. But I am going to make them deviled eggs. I won’t add all the filling like you usually do for deviled eggs. I will only fill them to top of egg whites. Thanks for such a cute idea. Thanks so much, Noreen! Happy Easter!